If an Esri Story Maps apps all-star team is ever assembled, Mark Gallant will certainly be in the lineup. Since 2013, the EntertainMaps.com founder, who is based in Ottawa, Canada, has been churning out a steady stream of compelling story maps that are so good he makes it look easy. Mark Gallant, a GIS professional working for the Canadian federal government by day, creates story maps on topics ranging from sports to pop culture. Gallant is a storyteller, and his medium is Esri Story Maps apps. He won second place in the 2016 Esri Storytelling with Maps Contest in the Culture/History/Events category for his story map Making Waves: The Evolution of Ska! Gallant was selected as the winner of Esri Canada’s App of the Month for July 2016 for Old Ottawa: A Capital Uncovered, which contextualizes historical photos of features, events, and settings on a map of Canada’s capital. 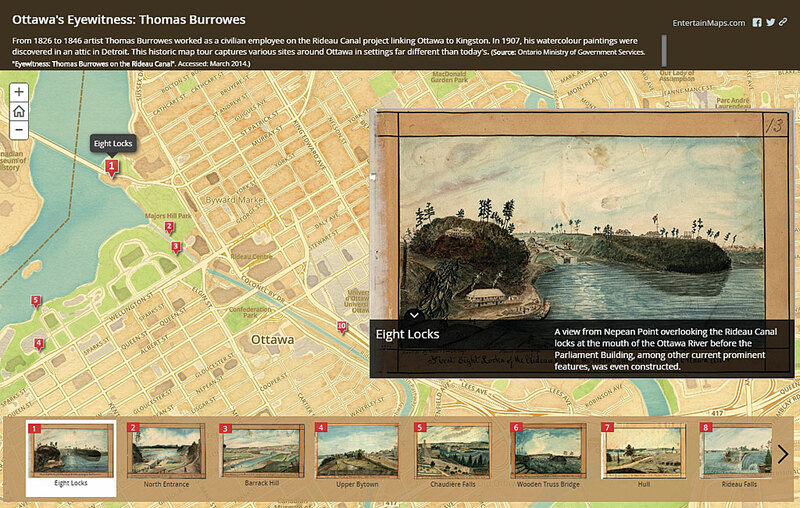 He also received second place in the 2015 Esri Storytelling with Maps Contest in the Culture/History/Events category for Ottawa’s Eyewitness: Thomas Burrowes that explores the rich history of Canada’s capital. Gallant’s EntertainMaps website explores various popular culture topics. It features story maps including Off to the Races: NASCAR’s Biggest Tracks; Jurassic Park: Lights, Camera, Hawaii; and Seinfeld: A Map about Nothing. Esri Canada spoke with Gallant to find out what inspired him to start EntertainMaps.com and how he created the Old Ottawa story map. He also shared tips for first-time story map creators. Esri Canada: You currently work as a GIS professional within the federal government, so EntertainMaps.com is something you do as a hobby. What inspired you to start this venture? Ottawa's Eyewitness: Thomas Burrowes is a story map that explores the rich history of Canada's capital through a series of watercolors. 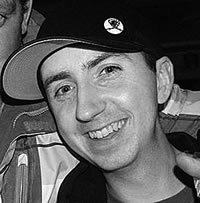 Esri Canada: Why did you feel that pop culture, such as ska music—which you feature in Making Waves: The Evolution of Ska!—would be a good fit for your work to engage people in geography and GIS? Gallant: I find GIS is often used to present subjects like land use or weather patterns—things that fall within the traditional focus of geography—which I don’t think capture the interest of the general public. So I go for topics that are outside the norm that people will recognize on the maps on my website. Also, I look at enough traditional geography stuff at work throughout the day, so when I’m at home, I’d rather spend time on something different. Esri Canada: It sounds as though one of the goals of your project is to help promote the benefits of GIS to a nontraditional audience. Why is that important to you? Gallant: Yes, that’s right. I think that sometimes people don’t look at things in a spatial sense. For example, when I see historical photos, people often just present the photo; they don’t show where it [was taken]. The goal of my project is to place things like photos and videos in a spatial context. This way, they’re learning the what and the where. To put this in context for a project like the Old Ottawa story map, people can make a connection with an old photo and the street they walk on every day. 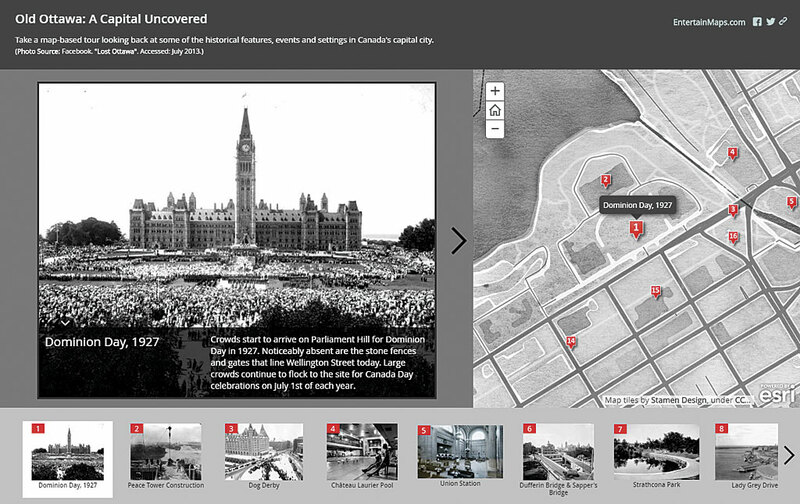 Old Ottawa: A Capital Uncovered provides context for historical photos of features, events, and settings on a map of Canada's capital. Esri Canada: How do you pick the topics for your story maps? Gallant: I have five questions that I ask myself before starting. Is location relevant to the story? Is there a variety of places or features? Can things be explained in a simple manner? Would somebody other than me be interested in viewing it? If the answer to all these questions is yes, then I’m likely to pursue it as a topic. Esri Canada: Why did you choose to use Esri Story Maps templates as the starting point for your apps? Gallant: First, they’re very easy to use. The maps are hosted online, so I don’t have to get into web hosting. They’re constantly enhanced as they consume quarterly updates from ArcGIS Online. Also, story maps are built with responsive design, so I don’t need to make multiple designs for mobile devices. Finally, because they’re easy and straightforward, I believe they effectively help the presentation of my topics. Esri Canada: Your story maps are characterized by a clean, simple appearance and intuitive functionality. How did you develop your story map skills? Gallant: When I first saw ArcGIS Online, I thought it had enormous potential to help GIS grow in the web environment and with presentation techniques. 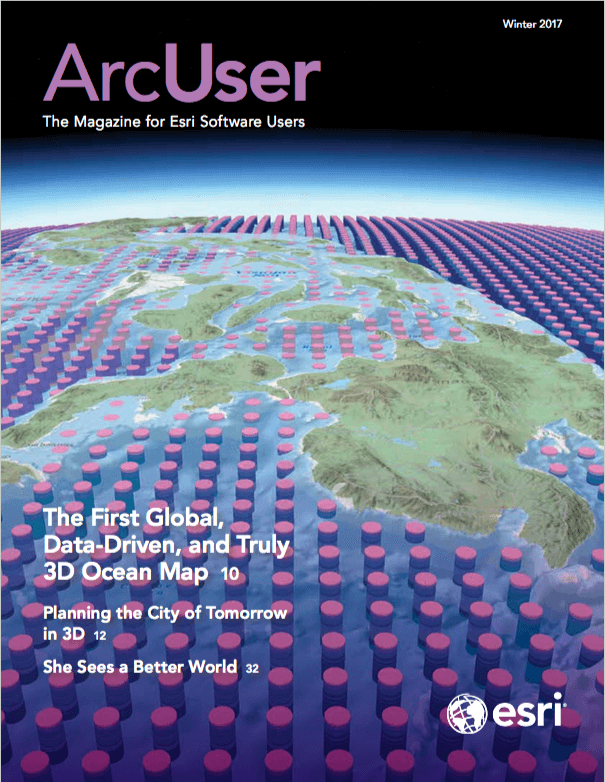 So I spent a lot of time learning ArcGIS Online because it was new. It didn’t even exist when I was in university. I enhanced my skills building story maps by adhering to a strict set of limitations such as keeping it simple and not presenting more than 20 points on a map. Esri Canada: Moving to the Old Ottawa: A Capital Uncovered story map, what led you to create this app? Are you a history buff? Gallant: I wouldn’t say I’m a history buff—I would say I’m more of an Ottawa buff. I’m from Ottawa. I’ve only ever lived in Ottawa. I studied geography here, and I was always paying attention to the layout and design of the city. I’ve always been interested in how the city has evolved over time. Because story maps are built with responsive design, Gallant doesn't need to make multiple designs for mobile devices. I first saw the photos presented in the story map featured in a news article about Lost Ottawa, a Facebook research community. I visited the page and began sorting through the photos. I thought if I could pick enough photos of locations in Ottawa that look different than what’s there today, I would really have something that would lend itself to a story map. When using photos or other media created by others, obtain permission to use them and include credit citations. If a photo or other media is in the public domain (either the author’s or publisher’s intellectual property rights have expired or the work has been placed in the public domain), no permission is required. Esri Canada: Why did you choose the Esri Story Map Tour template for this particular tour? Gallant: I think that the Story Map Tour template is probably the best for a sequential presentation of points of interest or different places. It also limits how text is displayed, so the reader isn’t spending too much time reading at different points, which I thought would be appropriate for this topic. Esri Canada: The basemap has a great, antiquated look to it that suits the theme perfectly. How did you create it? Gallant: That’s a custom basemap that I made using a web program called Stamen Map Stack. It allows users to take data from OpenStreetMap.org and then manipulate it in terms of its color, transparency, and texture. On the basemap for this app, I’m using a style called Watercolor, and I made it black and white so it looks like an old, dusty map. Esri Canada: What’s the response been like for this Story Map Tour app? Gallant: It’s been somewhat popular. Right now it has over 3,000 views. It usually gets more views around Canada Day. Esri Canada: Last question: What advice would you give budding story mappers out there? To find out more about story maps and start authoring your own, visit the Esri Story Maps website.